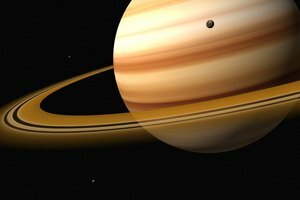 Saturn isn't solid, but its moons are. 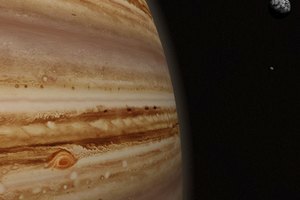 Creatures that can fly and breathe hydrogen might be able to survive in Saturn's cloud layers, especially if they don't mind cold temperatures. Humanoids who need solid ground, however, would do better to set up camp on one of Saturn's moons than to expect to find any habitable land on the giant planet itself. Saturn is all atmosphere, and it isn't the kind you find in an after-hours lounge. Scientists believe that planets come into being through a process called accretion, whereby rocks, gases and ice particles gradually coalesce through the force of gravity. 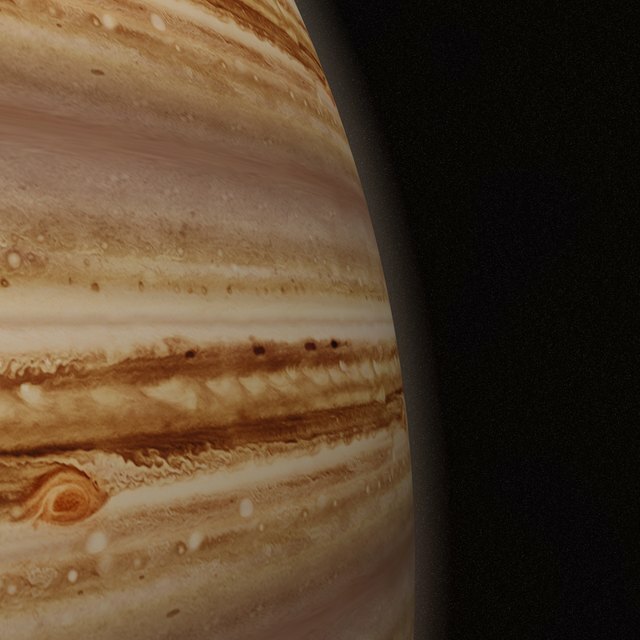 As one of the Jovian planets, which are too far from the sun to benefit from its warming influence, Saturn never became rocky. It is formed mostly from gases, and whichever rocks or ices that it has collected have either spun back off into space or migrated through gravitational attraction to its core. Judging from Saturn's density, which is less than that of water, the core probably consists of a mixture of liquid and rocky matter. Any probe seeking to land on Saturn would first have to contend with some of the fiercest storms in the solar system. Winds in Saturn's upper atmosphere, where the temperature is a frigid minus 250 degrees Celsius (minus 418 degrees Fahrenheit), whip around the equator at speeds around 1,800 kilometers per hour (1,118 miles per hour). The atmosphere is 75 percent hydrogen and 25 percent helium with traces of other compounds, including methane, ammonia and water -- ammonia clouds give Saturn its yellowish hue. If it weren't for the water that rains into the upper atmosphere from the ring system, temperatures could be even colder. Once the probe successfully navigated through the upper atmosphere, it would enter the troposphere, where weather happens. At a depth of approximately 100 kilometers (62 miles), it would find ammonia clouds, and at 170 kilometers (106 miles), a layer of ammonium hydrosulphide clouds would emerge. 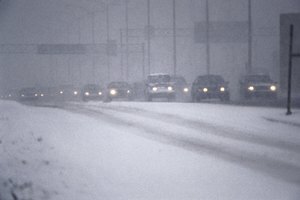 Further down is a deck of water clouds, and at that depth, the temperature warms to the freezing point of water. Continuing on, the hydrogen atmosphere contracts under increasing pressure until it liquifies, and even further down, it solidifies. This core of solid, or metallic, hydrogen is the closest the probe would find to solid ground, but it would be crushed by atmospheric pressure long before it got there. Not only is it possible for a probe to land on Saturn's moons, it has already happened. The European Space Agency's Huygens probe, which was carried to Saturn aboard the NASA's Cassini orbiter, made landfall on Titan, the largest moon, on Jan. 14, 2005. It landed on a rocky surface and found lakes and rivers of methane and ethane. It also found an atmosphere that isn't exactly hospitable but not unlike what may have existed on Earth eons ago. Titan isn't the only moon with an atmosphere. Enceladus, the enigmatic moon that spews water into Saturn's E-ring from a geyser on its south pole, also has one. 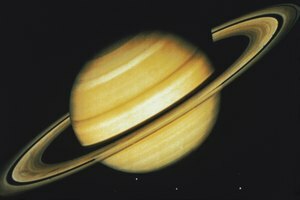 Universe Today: Does Saturn Have a Solid Core? Deziel, Chris. "Can Anyone Live on Saturn?" 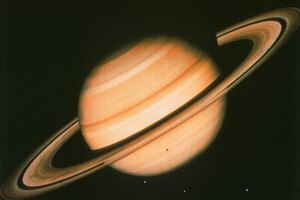 Synonym, https://classroom.synonym.com/can-anyone-live-saturn-37361.html. 26 September 2017.